Paperback, 6.5 x 9.5 in. / 256 pgs / 90 color / 20 bw. Edited by Margitta Buchert. Text by Margitta Buchert, Christoph Grafe, Alban Janson, Wolfgang Jonas, Angelika Schnell, Manuel Scholl, Lara Schrijver, Ullrich Schwarz, Sophie Wolfrum. 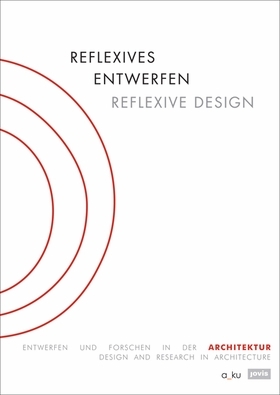 Reflexive Design presents an integrative approach, both in theory and in practice, to the emergence and interpretation of research-based design strategies in architecture. The contributions in this book portray the wide spectrum of creative and cultural aspects of such design processes. FORMAT: Pbk, 6.5 x 9.5 in. / 256 pgs / 90 color / 20 b&w.